The following services and programs are provided by the Sheriff's Crime Prevention Unit. The San Luis Obispo County Sheriff's Citizen Academy will provide community members with an inside look at the Sheriff's Office and all facets of law enforcement. The eleven-week class is held one evening per week, once or twice yearly, and is filled through an application process. For further information please call Grace Norris at (805) 781-4483 or Brandy Swain at (805) 781-4578. 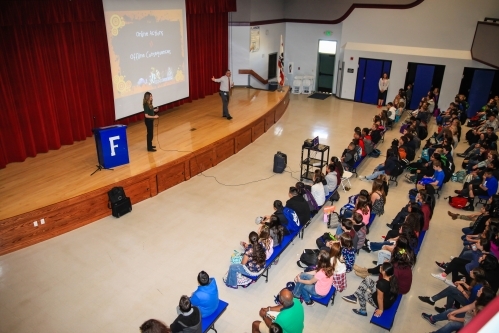 Internet Safety presentations are offered by the Sheriff’s Office to inform students and parents about cyber-bullying, Internet safety, and texting/cell phone safety. Learn about potential risks for students and how parents can inform and protect their children with proper knowledge of security and privacy settings. To schedule a presentation, contact Crime Prevention Specialist, Brandy Swain, at (805) 781-4578. A rural crime prevention program enlists the active participation of citizens living and/or working in rural areas to reduce crime in their communities, in cooperation with law enforcement. These programs are specifically designed to help counteract crime problems unique to agricultural enterprises and rural residents, and to provide information on a variety of topics. For further information please call Brandy Swain at (805) 781-4578. Crime prevention presentations for personal safety at home, at work, and in public. Programs may be tailored to specific needs and age groups to enhance their effectiveness. For further information please call Brandy Swain at (805) 781-4578. Prevention programs directed at the business community to reduce and prevent crime through the education and training of owners and employees. For further information please call Grace Norris at (805) 781-4483, orBrandy Swain at (805) 781-4578.